World Rugby has announced that Sir Bryan Williams is one of five legends of the game to be inducted into the World Rugby Hall of Fame for 2018. The World Rugby Hall of Fame recognises those who have made an outstanding contribution to the game of rugby throughout their careers, while also demonstrating rugby’s character-building values of integrity, passion, solidarity, discipline and respect. Crusaders Assistant Coach Ronan O’Gara will also be inducted alongside Williams, Liza Burgess (Wales), Stephen Larkham (Australia) and Pierre Villepreux (France). Williams is the 22nd New Zealander to be inducted, along with the 1888 New Zealand team. World Rugby Chairman and Hall of Fame inductee Bill Beaumont said Hall of Fame importantly acknowledges and celebrates the true legends of the game. It continues a big year for Sir Bryan Williams, who was knighted for services to rugby in the New Year’s Honours list. 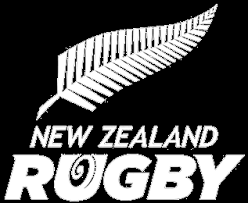 New Zealand Rugby Chairman Brent Impey said this recognition is thoroughly deserved. Williams was the first Polynesian player to represent the All Blacks and played 113 matches, including 38 Tests. A lawyer by trade, Williams won further honours with Ponsonby and Auckland as a coach and masterminded Samoa’s famous triumph over Wales at Rugby World Cup 1999. This year’s inductees will be honoured at a special ceremony in Rugby, England, on 12 September.